We’ve just got back from a blissful 4 night stay at Clydey Cottages in Pembrokeshire. I went with my husband, my toddler and my 5 year old, and we’ve all come home rested, happy and with plenty of adventures and experiences to talk about and share with our friends and family. Babies and toddlers can be hard work, and they don’t suddenly become nice and easy when you are on holiday – quite the opposite; a long journey and a change in routine can throw things up in the air. That’s why finding a fantastic baby and toddler friendly place to stay can be the key to having an awesome holiday. 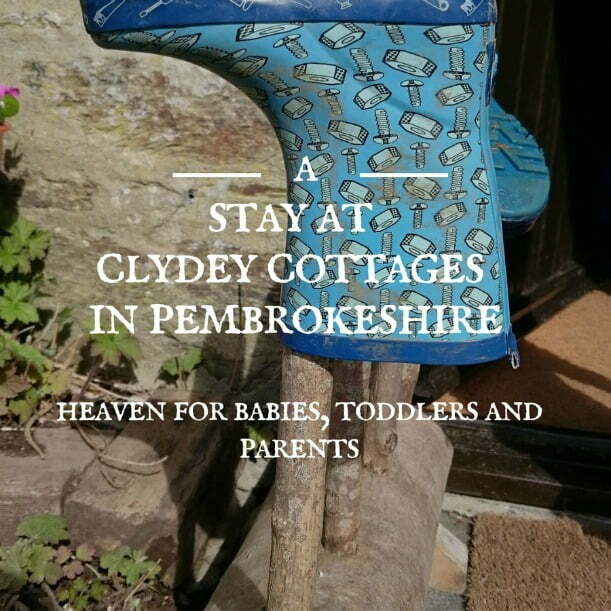 I’m going to share with you the reasons why I think Clydey Cottages in Pembrokeshire are some of the best baby and toddler friendly cottages I’ve stayed in. We stayed in a delightful 2 bedroom cottage called Tansy Cottage for 4 nights. First impressions count, and I fell in love with Tansy Cottage within a few seconds of opening the wooden door. 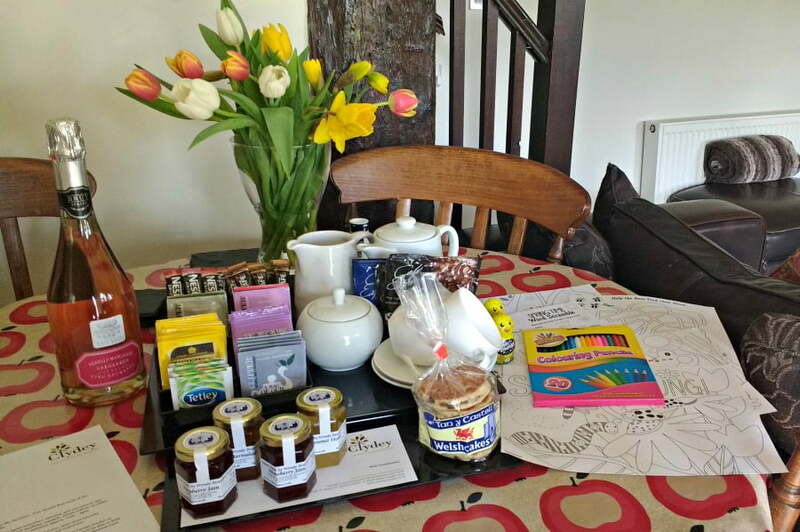 The cottage was open plan with a large kitchen, dining room and sitting room; there was a vase of fresh cut flowers on the table along with an enormous welcome hamper bursting with local cheeses, meats, biscuits, jams, welsh cakes, barra brith and a bottle of wine. Whilst we investigated the welcome hamper, the boys spotted some Easter Eggs, colouring sheets and colouring pencils which had been left for them. The cottage has kept the character of an 18th century Pembrokeshire farm with oak beams, big heavy oak doors and a log burning fire, but has lots of unique touches which bring it bang up to date. 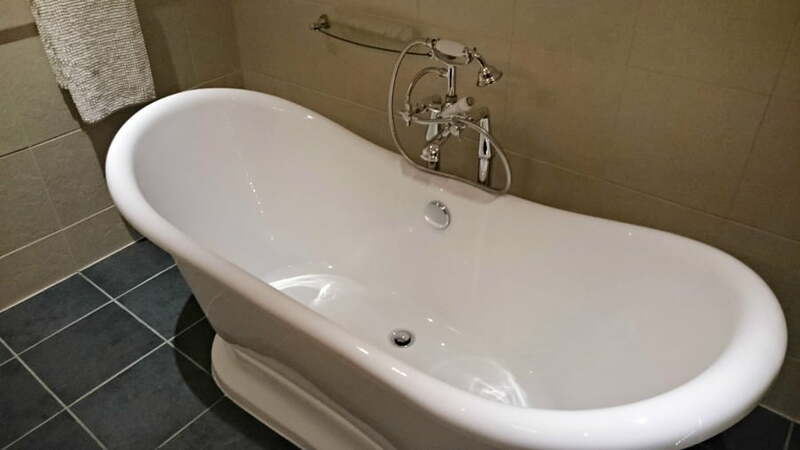 I loved the underfloor heating in the bathrooms, the roll top bath and rainfall shower. The boys slept in a large twin bedroom downstairs which was plenty big enough for a cot too, and we slept upstairs in a double room with one of the most comfortable beds I’ve ever slept in. Both bedrooms have thick full length curtains so blackout blinds weren’t needed. There was also far reaching views of the welsh hills from the window, as well as a birds eye view of the fields next to the cottage where the resident donkeys lived! On a practical note, stairgates, non slip bath mats, and toddler steps are provided and there is a safety lock on the kitchen cupboard with items such as the dishwasher tablets in. 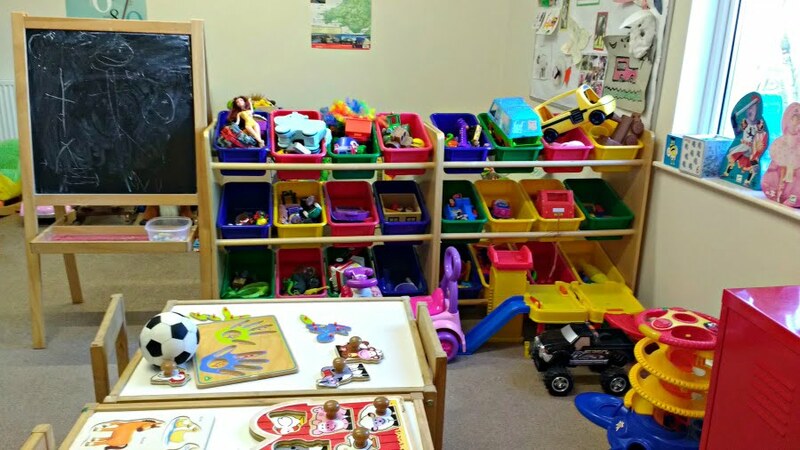 A raft of baby and toddler equipment is available to borrow – more about this below. 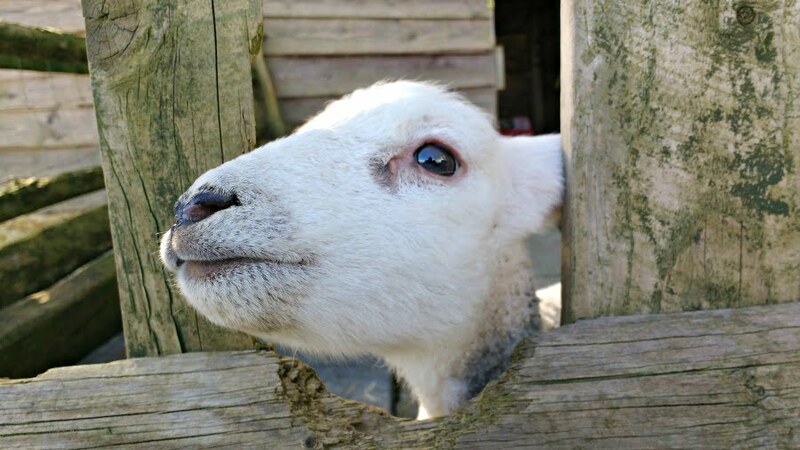 There are plenty of animals which are lucky enough to live at Clydey Cottages, and one of our holiday highlights was the daily animal feeding sessions which take place at 9.30am. 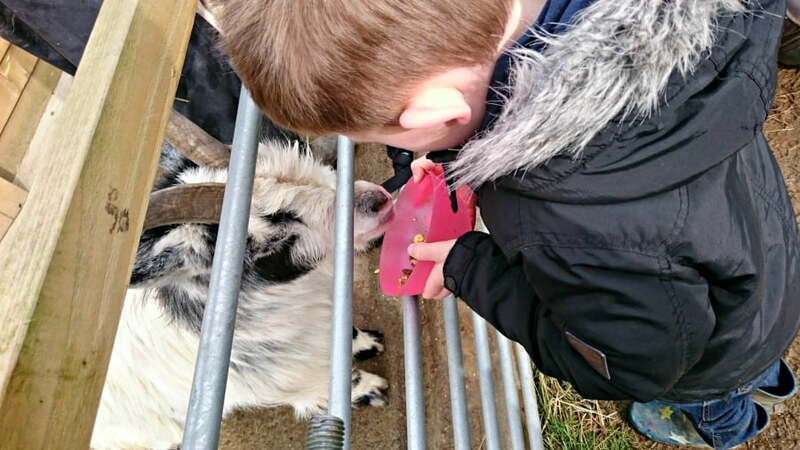 They say you should never work with children and animals, but Farmer Malcolm who leads the animal feeding sessions, does so effortlessly in such a calm and relaxing way. He must have a photographic memory, because he remembers all the names of the children who take part in the feeding sessions – no mean feat when there are siblings involved and all the children are running around excitedly trying to ‘help out’. 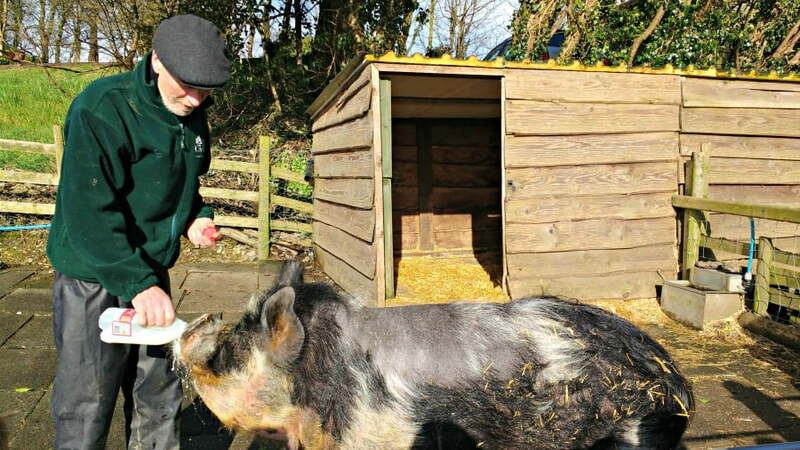 The feeding sessions start with Iggle the pig – whose favourite breakfast item is an egg which he chomps on before spitting out the shell into his bowl. He then moves onto fruit and vegetables which has already been chopped up and placed on plastic forks which the children use to feed him. Again, Farmer Malcolm’s amazing memory comes up trumps again, as he somehow remembers which children have had already fed Iggle and which haven’t had a turn yet. After Iggle, the children moved on to bottle feed 4 lambs, before waking up the guinea pigs and rabbits and giving them their breakfast of chopped carrots. The guinea pigs and rabbits are woken up in a more reserved way than the poor pygmy goats, who are woken up from their slumber every morning by a load of tiny children shouting ‘ Wakey, Wakey Mr Goat’ at the top of their voices right outside their house . It seems to do the trick anyway as Zig and Zag, the goats, come bounding out for their food. 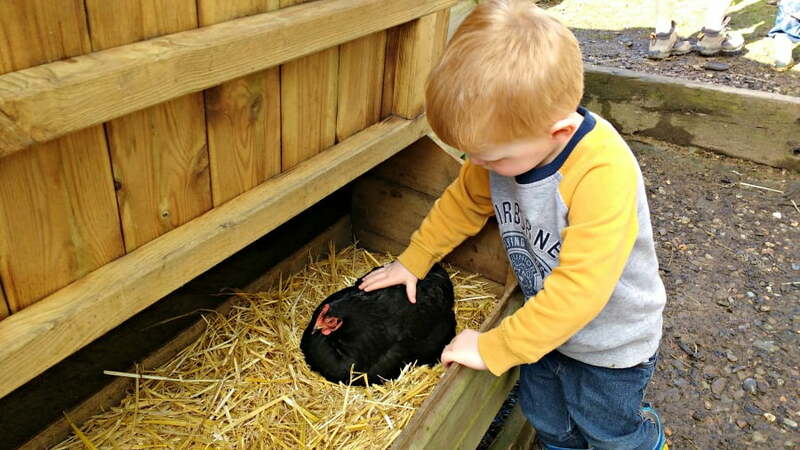 Feeding the chickens is a really special experience as the children are given full cups of grain, and sit down and wait for the hens to come and eat out their bowls. I loved watching the delight on my toddler’s face as the chickens approached him and ate his food. Farmer Malcolm also has the egg collecting down to a tee too. Babies and toddlers check inside one half of the chicken shed for eggs, and older children check the other side. The children collect one egg each and put it in Malcolm’s basket. 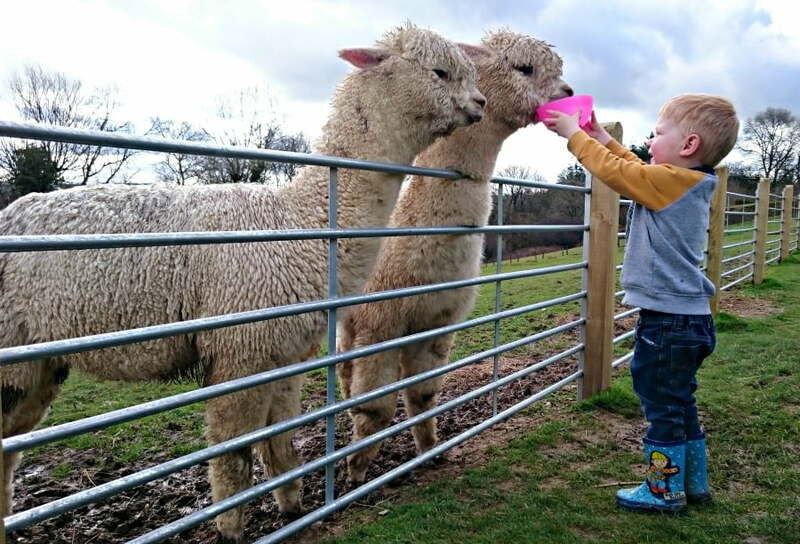 After the chickens, it’s full steam ahead to feed the rest of the animals on the farm including the alpacas, donkeys and ponies. As well as the daily animal feeding sessions run by Farmer Malcolm, I loved the fact that the animals lived in fields next to the cottages. This meant that you could pop down and see them at any time during the day and not just at the specified feeding sessions. My toddler was always looking out of the cottage window to see what the donkeys were doing, and we got into the routine of popping down after tea to say goodnight to them and give them a quick bedtime carrot. 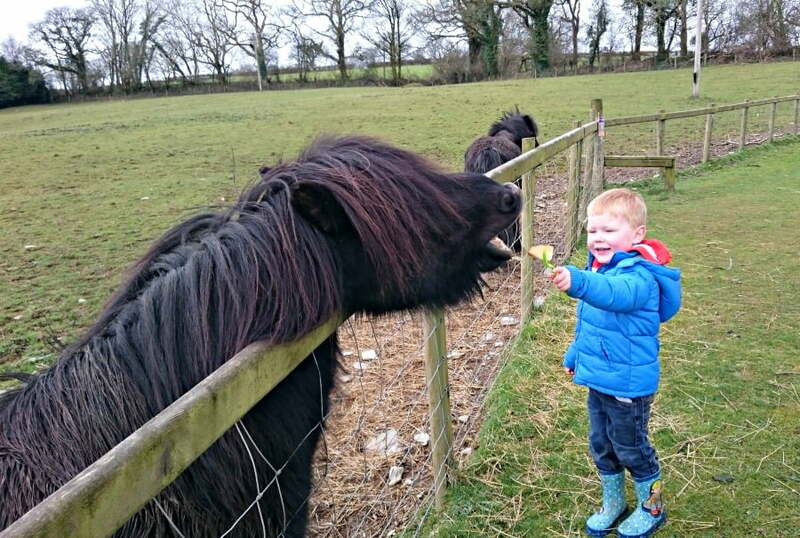 The animals really were one of his main highlights of the holiday. 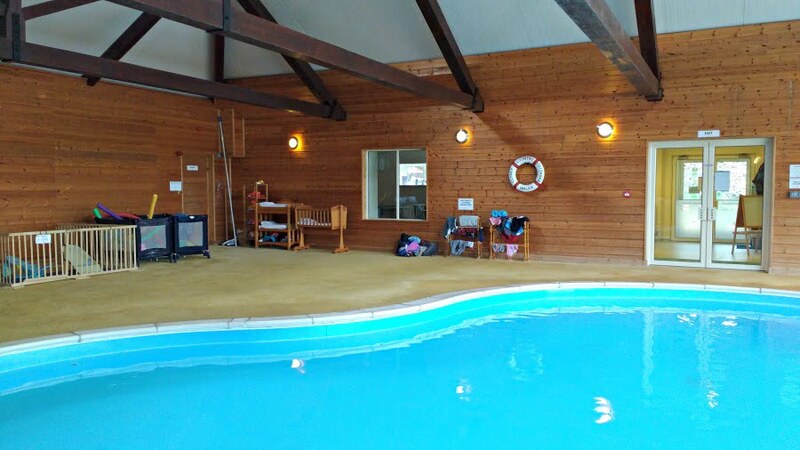 The leisure facilities at Clydey Cottages are phenomenal. 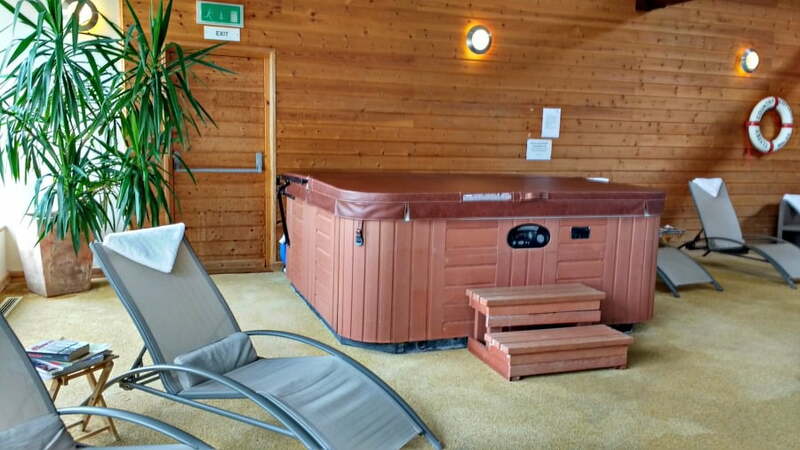 There is a wonderful heated indoor swimming pool and indoor hot tub and sauna surrounded by sunbeds, chairs and loads of magazines to browse through. We spent a good couple of hours in the pool one rainy afternoon, and were lucky enough to have the pool to ourselves. There are lots of armbands, floats, diving sticks etc to play with, so the only thing you need to bring yourself is your swimming towel. There is a baby crib, a changing table and a little play pen to keep little ones secure whilst you have a swim. The pool is open all the time too you can pop over after bedtime for a dip. 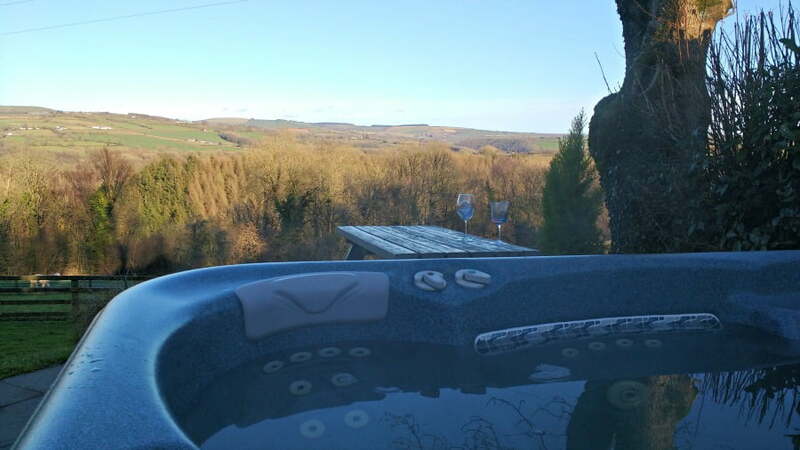 Outside there is a Hot Tub as well with spectacular views over the countryside. This was a popular escape for some parents after their children had gone to bed, or when their children were at the Kids Club. There is a Spa at Clydey as well where you can pre book beauty treatments. Picture the scene – your children are playing quite happily whilst you sit down, have a cup of coffee and read a magazine. When was the last time you did this? I did it a few times during our stay at Clydey Cottages and loved every second of it. 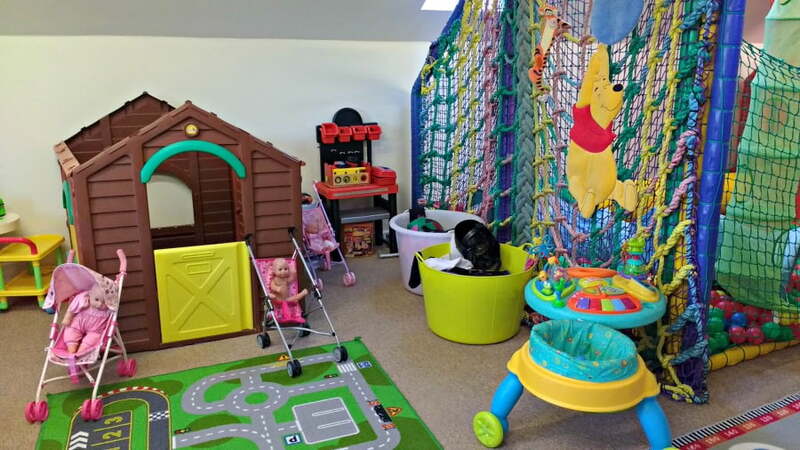 The indoor play area is heaven for babies, toddlers and parents. 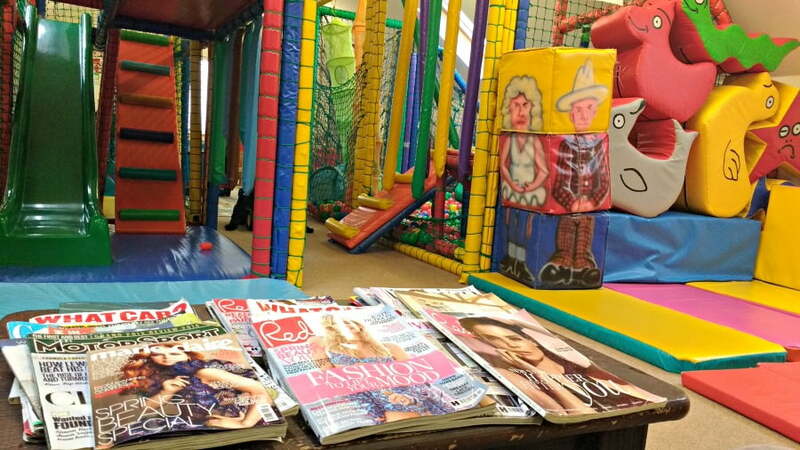 As well as a soft play area with a ball pool and slide, there are more toys than a branch of Toys R Us. My boys loved the tool station, the trains, the Thomas the Tank Engine tent, the bricks, the dolls, the wendy house, the kitchen and the garage. In fact, each time we went in they discovered something else new to play with. And, whilst they were playing away quite happily with the rain hammering on the windows, my husband and I made ourselves a complimentary cup of coffee from the drinks machine, and relaxed on the settees next to the play area reading a magazine. It goes without saying that all the toys were impeccably clean and well maintained. 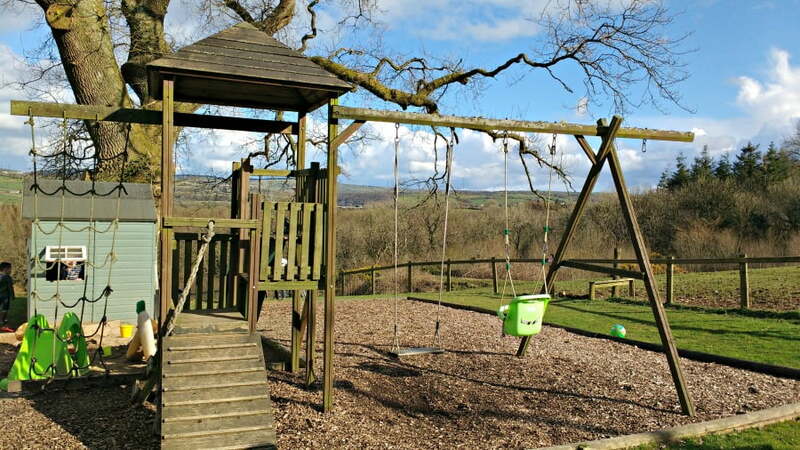 My boys love a good playground, and the one at Clydey Cottage passed their rigorous assessment criteria. There was a Wendy House (which the toddler loved opening and closing the door of continuously), a slide, a sandpit, a swing and a see saw. There was also a large trampoline as well. Just outside the leisure complex was a whole terrace full of ride on toys. Tractors, bike, trikes, cars – you name it they had it. The Games Room had a table tennis table, pool table and an air hockey table with little steps so that toddlers could have a go if they wanted. It was also the home of the DVD and book library. There was a DVD player in our cottage so we were able to borrow some DVDs and watch them back in our cottage. There is a complimentary Kids Club 2 afternoons a week from 1-5pm which is available to book giving you a bit of adult time. 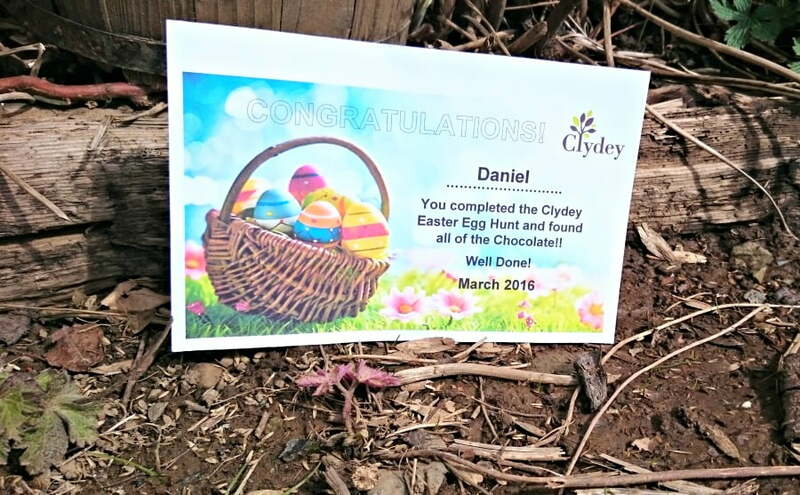 We were there during the Easter holidays and there was an Easter Egg Hunt, Circus Skills workshop and Forest Ranger sessions. All these extra activities were complimentary. 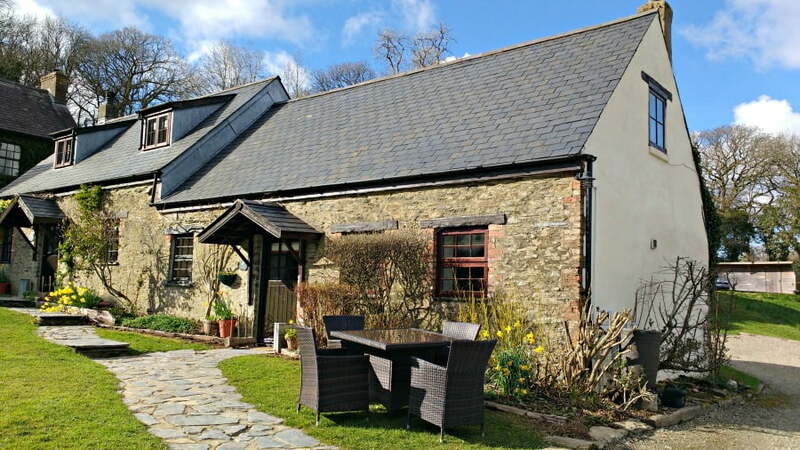 Clydey Cottages in Pembrokeshire are set in 20 acres of immaculate landscaped grounds. Even though it was early April when we visited, we were able to leave our door open and let our boys play outside our cottage whilst we were making tea. 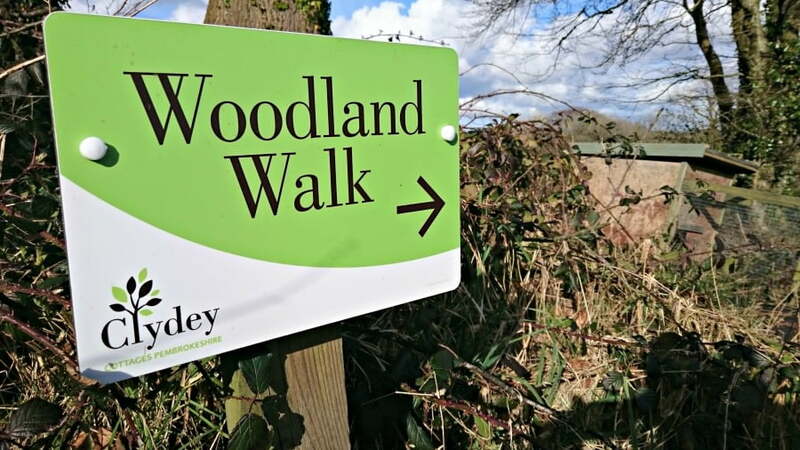 There is also a Woodland Walk leading down to a river which myself and my 5 year old went on one evening. 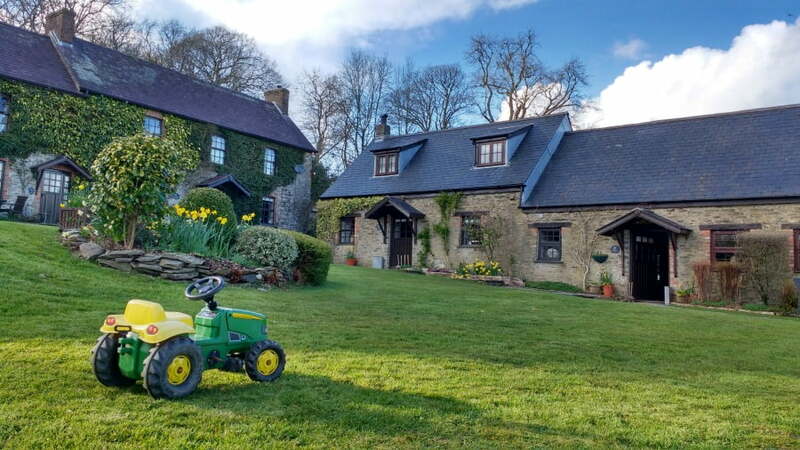 The issue with Clydey Cottages is that there is so much to do onsite, that you could quite easily spend your holiday staying there rather than exploring the local area. And that would be a huge shame, as Pembrokeshire is a stunning part of the world. 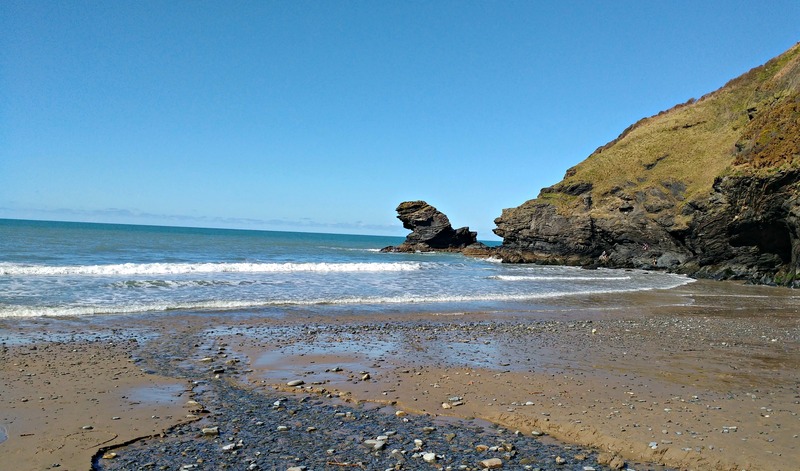 We had wonderful days out at Dyfed Shire Horse Farm (a must for horse lovers), Castell Henllys Iron Age Fort, Folly Farm, Tenby and the beaches at Newport Sands and Llangrannog Beach. There are cupboard locks on the kitchen cupboards with the dishwasher tablets in. 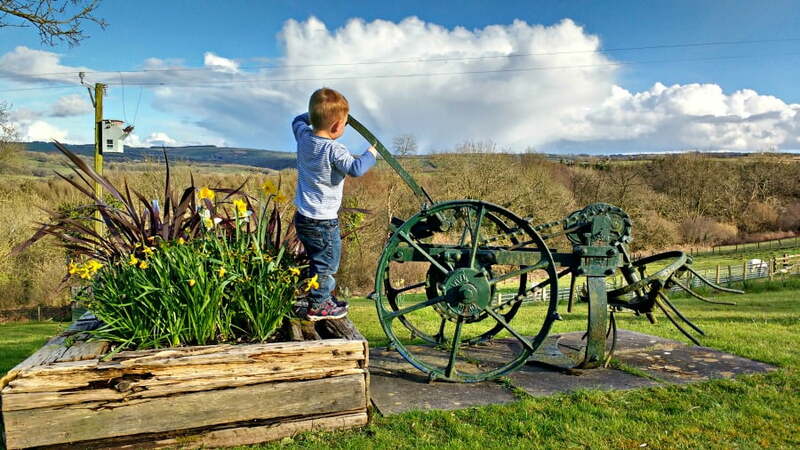 A 7 night stay in a 2 bedroom cottage in May (outside of school holidays) costs £1000 including 2 Kids Clubs sessions, 24 hour access to the leisure facilities, playroom and daily animal feeding sessions. 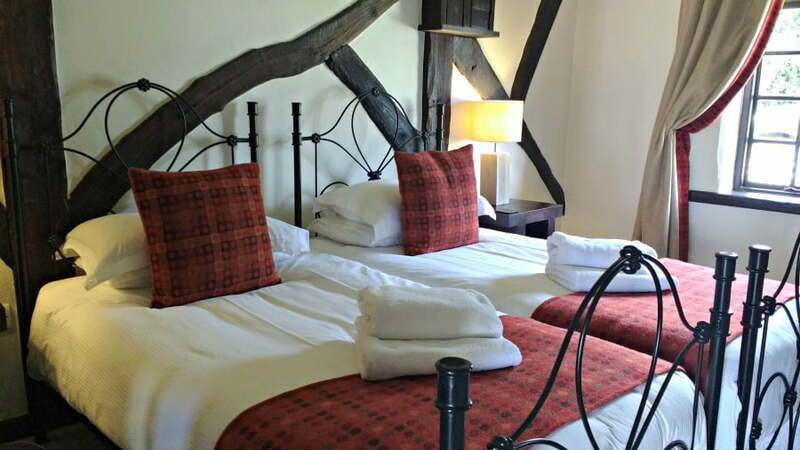 Short breaks and special offers are available – check out the website for more info. Sincere thanks to Clydey Cottages in Pembrokeshire for our stay.